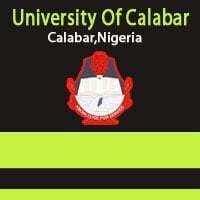 The management of the University of Calabar (UNICAL) has released the programme of events for the 31st convocation ceremony for the Award of Diplomas, First Degrees, Post Graduate Diplomas, Higher Degrees, Honorary Degrees and presentation of Prizes. See UNICAL convocation ceremony schedule below. The Vice-Chancellor, Professor Zana Itiunbe Akpagu, on behalf of the Council, Senate, Staff, and Students of the University of Calabar cordially invites the General public to the 32nd Convocation Ceremony for the conferment of Diplomas, First Degrees, Higher Degrees and award of Honorary Degrees and prizes to deserving graduands of the University for 2017/2018 academic year. See also: UNICAL Convocation: Information to Graduands. UNICAL Convocation Ceremony Schedule of Events. UNICAL 32nd Convocation Ceremony has been rescheduled to start on Tuesday, the 9th day of April, 2019. Convocation for the award of Diplomas & First Degrees Graduands is billed for Friday, April 12th, 2019 whereas that of; Post Graduate Diplomas, Higher Degrees, Honorary Degrees and presentation of prizes has been scheduled for Saturday, April 13th, 2019.